Today I'm sharing a guest post from my friend Jason Rawn who is in South Korea with the Gangjeong Village resistance to destruction of their Jeju Island coastline by creeping militarism. You can read more about their struggle here. Their GDAMS action was on April 12. I will be participating as a speaker at a GDAMS rally in Congress Square, Portland, Maine on Tuesday, April 18, 2016 at 11 am. Due to human-caused climate change, we must make huge changes in how we live very soon. The US military and its allies use the most fossil fuels and have the largest Carbon bootprint on the planet. Most of these fossil fuels are used in pursuit of more fossil fuels. There are also nuclear, biological, space, and conventional weapons, torture, surveillance, and many other harmful aspects of militarism to consider. Activists around the world are organizing the Global Days of Action on Military Spending (GDAMS) from April 5-18. In 2015, 127 actions were held in 20 different countries. GDAMS is part of the International Peace Bureau's Global Campaign on Military Spending. The central question is, "Money for War...Or Human Need?" Here in Gangjeong, our action is to speak out and picket during our daily blockade of the navy base here. We will also conduct a poll to discover how local people would like to invest their hard-earned tax money. We ask people to examine their priorities and the long-term well-being of the planet and then use stickers to indicate what types of projects and programs they value and want to fund. This is an adaptation of the "Penny Poll," a fun activity used by peace activists in the US to start conversations on the subject of divesting from war. 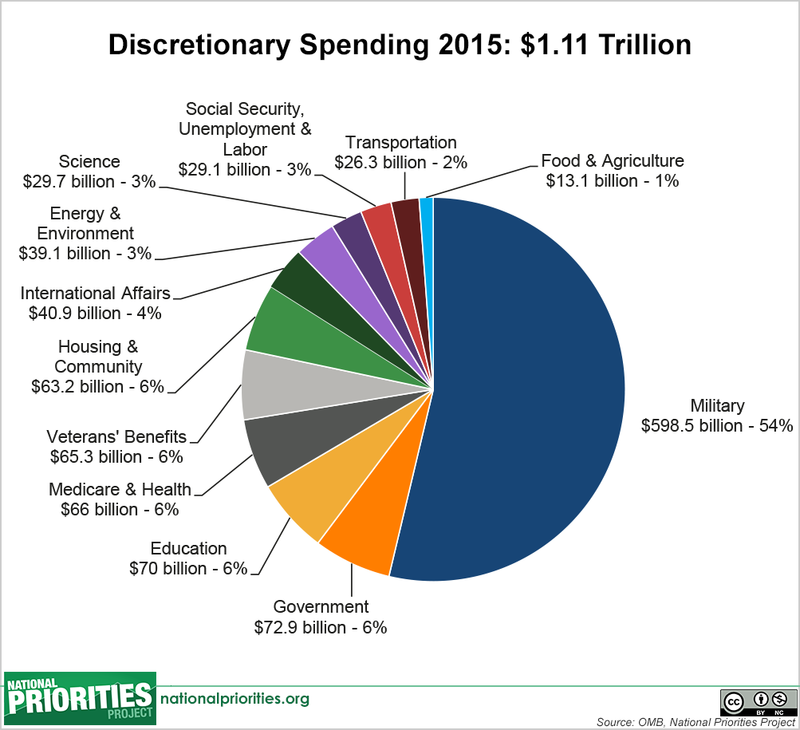 War Resisters League (WRL) calculates that the US will spend $1.357 trillion ($1,357,000,000,000) on war in 2017. 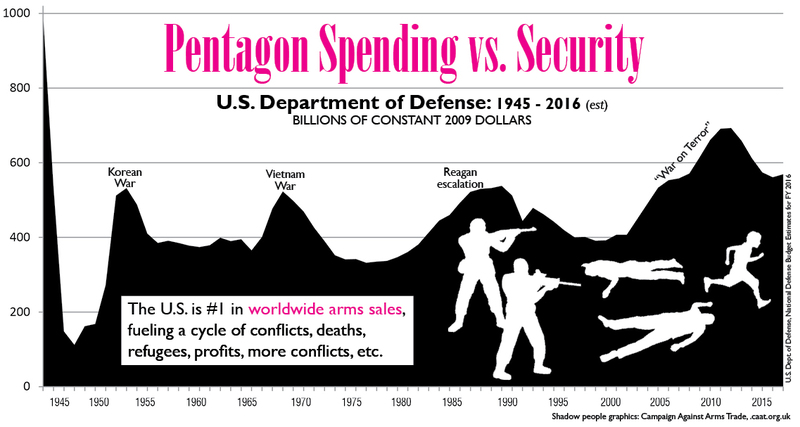 WRL includes money spent on past war, including veterans' benefits and interest paid on debts from war spending. Other calculations are based solely on the annual federal budget and result in much smaller figures: $600 billion ($600,000,000,000), for example. One of the biggest lies that governments and corporations tell is that war is good for the economy, that it creates jobs. While war does create some jobs, investing in peace creates far more jobs. According to a study by the Political Economy Research Institute at UMASS Amherst, investing in clean energy projects, healthcare, and education produces 50-138% more jobs per billion dollars. And these are sustainable jobs that support long-term prosperity and regeneration, not short-term exploitation of people and planet. By redirecting our tax money away from war and into human needs, we can make changes and create a world of dreams, not nightmares.